SoloSez.net - ABA's Solo Center. If you are a solo practitioner, or want to be, you need to check the resources at the ABA's Solosez page. Substantive law discussions, resources, all free for the clicking. 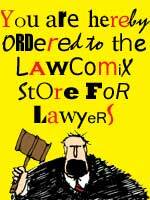 I used to read the printed materials, pre Internet, and find that this valuable resource is underutilized by most lawyers. You need to spend some time at this wonderful site, and you can subscribe to the ListServ for regular updates.